Since 1979, Watson’s has been providing professional, care-free services for special moments in our customer’s lives. We have the experience to serve from 10 of your closest friends to over 3500 of your most important business associates. 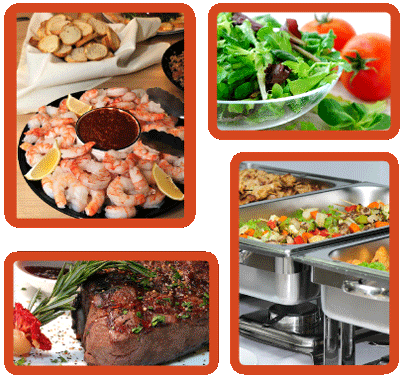 Let Watson’s help plan the meal for your wedding, business lunch, company picnic or family gathering. From succulent prime rib served on china to the classic hometown brat fry, Watson’s offers the finest ingredients and fresh ideas. We will work with you to build a menu that fits your budget. Watsons will cater to your every need with attention to detail so you can relax and enjoy. Watson's can assist with your next business event, open house, or luncheon by providing on-site grilled food, delicious box lunches, appetizer platters, and much more... Let us take the stress out of your next business function. Whether you are planning a corporate event, wedding or holiday party, Watson's Elite Catering can customize a menu and provide the staffing, decor and entertainment to help make your event a success. Please email or call us with your ideas and we will be glad to share our expertise to help make your event carefree and memorable.